Casual PSN games on the way? Will the new Vaio P ultraportables out later this year feature touchscreen and PSN access? 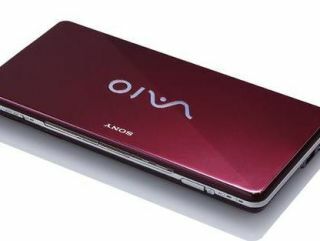 New Sony Vaios are set to get touchscreen functionality later this year, in addition to PlayStation Network (PSN) access. The upcoming VAIO W netbook will give users access to the PSN to help manage their media content on their PSPs or PlayStation 3s. Sony's Mike Abary has also hinted that "games are a possibility" on the laptops, "suggesting that…PSN games could be along for the ride (though he's leaning more towards "casual" games for the PC market at the moment)." "Given that Sony has been using the PS3/PSP XMB [cross media bar] on non gaming devices for a while, its move onto Vaio laptops is not too much of a surprise. If games do feature on the Vaio XMB they are going to be casual PC games and not emulated PS3/PSP titles." The fact that Windows 7 has notably improved touchscreen support and the news that touchscreen Sony Vaios are on the way by the end of the year has got us all pretty excited here at TechRadar. "There are certain things that will be native on Windows 7 that we are certainly going to take advantage of," said Sony's Mike Abary. "Without giving too much away, we think touch on Windows 7 is something we find compelling and we will certainly introduce touch into some of our products at the launch of Windows 7. You will see touch capabilities introduced on Vaio products that take advantage of Windows 7." Without giving too much away, Mr Avary, you just managed to give us enough to start wondering what kinds of stuff we'll be able to do with our touchscreen, PSN-connected Vaios this coming Christmas.